We would like to invite you to join us in at Manufacturing Expo 2017 located in Thailand, Bangkok, BITEC, from 21 to 24 June 2017. Manufacturing Expo is one of the biggest manufacturing exhibitions in South East Asia. It comprises of 7 sub-shows. We will be located at Automotive Manufacturing, under Singapore Pavilion (3D15)..
One of the most thriving industries in Thailand, Automotive adopts industry 4.0 to boost the production efficiency. 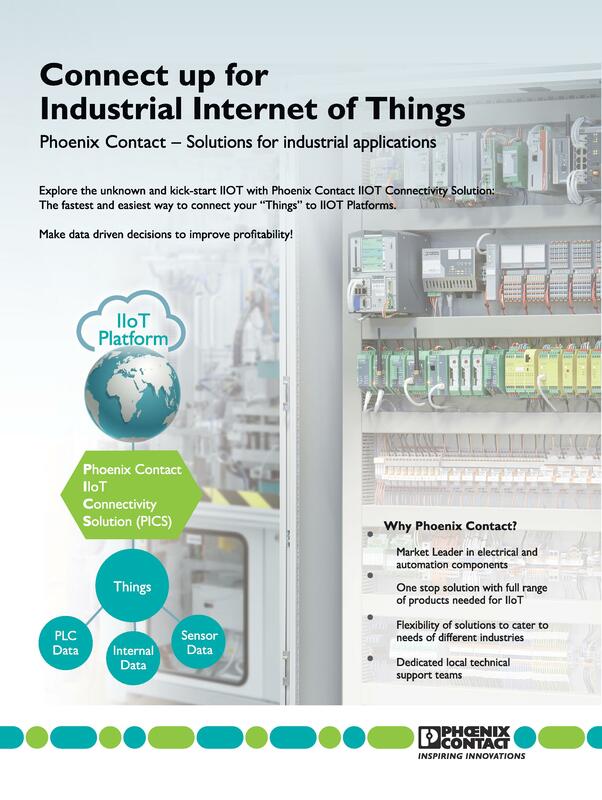 Moving with the industry trend, Phoenix Contact would like to take this opportunity to showcase our capability on smart connectivity for smart factories as well as Phoenix Contact very own Industrial Internet of Things (IIOT) solution. Being an innovative company, we strive to increase productivity and efficiency with cutting edge connection technologies. Quick connection technologies were incorporated into our connectors as well. Besides signal, M12 connector is also used in transmitting data such as Ethernet and Profinet as well as power (AC/DC). 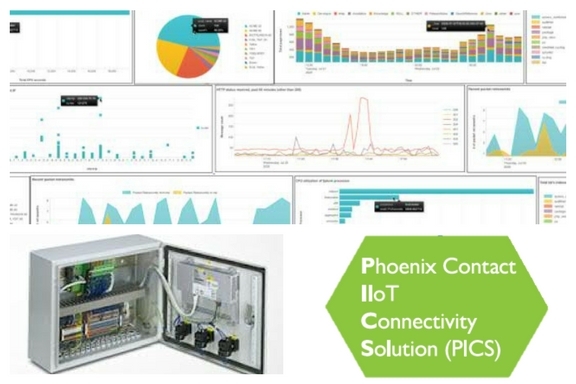 Phoenix Contact is able to provide a complete solution from device connectors to field cablings. Industry 4.0 requires the transmission of more signal, data and power than ever. Phoenix Contact circular hybrid connector provides an All-in-One solution. Besides copper based data connectors, we also have a complete solution for fibre optics according to your requirements. Interested to know more about the applications of the products mentioned above? Come join us at Manufacturing Expo. Our sales team will be happy to assist you. Express your interest by helping us to fill up the survey form to receive a mystery gift. Where do you implement IIOT for Power Industry? Many industries such as Building Automation (analysing of building operating parameters across various premises), Automotive (predictive warning for luxury vehicles), Land Transportation (think ERP 2.0 in Singapore!) has/will be implementing Industrial Internet of Things (IIOT) in its’ various forms for the different benefits and uses cases it provides. If you are still confused about IIOT vs IOT vs Industrie 4.0 and other terms? Check out this link here. The results have been intriguing and allowed those who have implemented such systems to stand out from their competitors amidst increasing competitiveness of their market. In critical infrastructure (such as power industry), such a movement has been much slower. This is because a failure in critical infrastructure systems will have far reaching consequences unlike other industries. For example, an unnecessary power trip caused by a data packet not being received in time can affect hundreds or even thousands of residents in a large neighbourhood. Compare this to having a car breakdown in the middle of the road because the predictive warning for car servicing was not triggered! IEC 61850 – What data can we track? For Power Industry (Power generation, power grid operations, contestable energy market consumers etc. ), we are in the infancy of a huge change, led by IEC61850 to achieve internet of things for power industry (commonly known as Virtual Heat & Power plant (VHP), Smart Grid or other variants). communicating in the same way, Power grid operators, Power Generators, Power Consumers can their own systems to communicate with other systems easily. Industrial hardening of equipment: Components of systems needs to comply with IEC61850-3 which require hardening of industrial components, able to withstand the harsh condition of power industry, such as high Electromagnetic Interferences. Common system architecture and easy naming nomenclature of data points, allowing for integration into one BIG virtual network to be much simpler. Imagine knowing exactly when to replace the switchgear/transformer parts and knowing when it will fail! Switchgear/transformer spare parts usually require lead time. Knowing in advance before the electrical assets needs replacements allows power grid operators/ power generators to prepare for the spare parts in advance, minimizing risk for downtime. Instead of waiting for something to happen before we fix it, there is an increasing trend that engineers worldwide are always studying and trying to understand their system better! At present, checks on health of systems and electrical assets are periodically conducted. Unfortunately, there is no real good reason why a monthly period is chosen over a bi-annual check. This is a waste of precious resources as manpower is conducted to do meaningless checks. This time can definitely be better spent implementing a strong IIOT system that cuts down on these wastages and allows for a more advanced form of maintenance! With these building blocks in place and obvious advantages, the last remaining challenge will be to adopt IIOT for Power Industry, i.e. where should we start to monitor and collect data from? This part of the standard will provide standardization for information modelling, exchange and configuration techniques for Condition Monitoring & Diagnosis for Power Utility Automation. What this mean is that in this part of the standard, there will be explicit description of how you can use IEC61850 to achieve predictive/proactive maintenance and increase productivity! There will be guides on which part of the switchgear/transformer/cables you should monitor and how exactly you should be monitoring them. 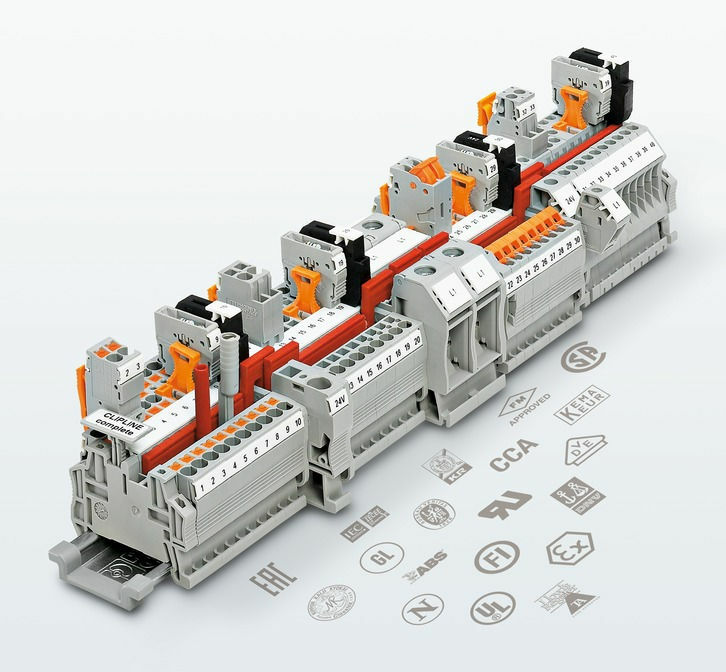 At Phoenix Contact, we also have a wide range of reliable IEC61850-3 industrial hardened components necessary for implementing of IEC61850 systems. Products include Network Switches, Ethernet to Fibre Media Converter, Parallel Redundancy Modules, Bus Couplers/IOs and Power Supply (AC to DC or DC to DC). Do you want to know more about IEC61850/IIOT or how exactly condition monitoring can be done to stay ahead of IEC standards? Leave us your contact and we will be inb touch with you shortly. Terminal Blocks – Aren’t they all the same? They will look at me, waiting for an answer, hoping that they did not say anything to offend. “Aren’t all Terminal Blocks the same?”, after a brief moment of silence. Well, the answer to this questions is definitely, no. They are not one and the same. And that was how I sparked their curiosity. “Tell me more”, they said. I would go on and explained that the reason why Phoenix Contact has been the leader in such a simple yet sophisticated product, that today, it is trusted around the world. So trusted, that projects in Southeast Asia, even big government projects, are using them. If I have interest you, just like my Myanmar customers, then read on. 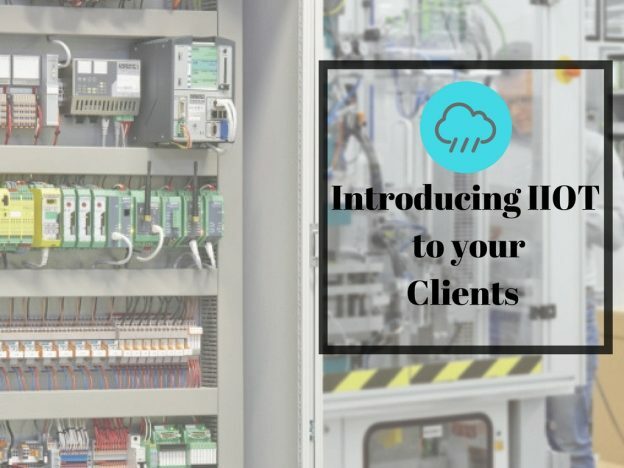 When you introduce IIOT to your client, one of the first questions your client will ask you is “What is IIOT?” (Yes, we get that a lot). Many manufacturers are baffled when they were asked to implement IIOT in their plant. See. It’s not that hard, is it? When we further explain the sentence above, “smart machines” are simply referring to intelligent products like PLC or sensors that are able to help you in generating or gathering data. Smart machines allow data to be aggregated and analyzed in real time. With more accountability and control over equipment, workers can better predict maintenance issues and make faster decisions. Not forgetting the ultimate motive “to save cost”.